If I was forced to chose a favorite movie of 2006, it would be a toss up between and The Departed and Pan's Labyrinth. 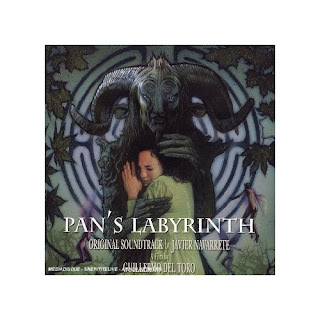 Although both are backed by a soundtrack incredibly fitting for the movie, the Pan's Labyrinth soundtrack is far superior. I had noticed the music while watching the movie, but just recently downloaded the OST. I've always been a sucker for classical music that carries heavy emotion. Javier Navarette often uses the single lullaby that is heard in the movie, and expresses it through various instruments throughout the album. He has composed both an effective and affective sound for Guillermo del Toro's film. Beautiful yet haunting, whimsical, hopeful, and powerful, it's a perfect soundtrack to accompany a perfect movie.